The Gran Paradiso National Park, since its foundation, has always given great importance to the research and conservation activity and of its symbol species: the alpine ibex. More than a direct involvement for reintroducing and conserving the species on the whole alpine arch, in the last years the efforts for long term scientific researches have increased. 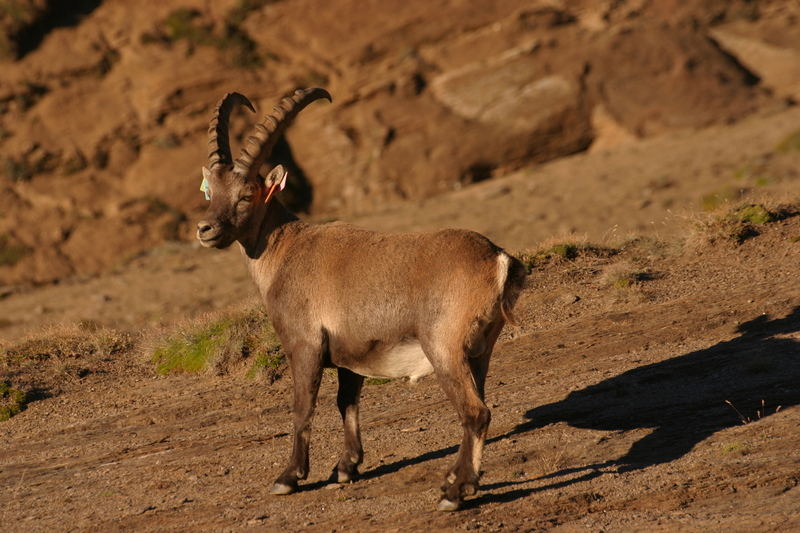 Since 1999, in particular, in the Levionaz study area, an intensive study program about behavioural ecology, life history and ibex genetics is in progress, in collaboration with the University of Pavia, Sassari, Sherbrooke (Canada) and Zurich and with the Faculty of Veterinary Medicine of the University of Milan. The research program provides marking through collars and coloured ear tags of a wide number of animals, so that it will be possible: to collect biological samples, informations about multiple years regarding behaviour, survival, reproduction and resources allocation strategies, and be able to follow the population dynamic. In the last years, in particular, great attention has been devoted to the reduction causes of the ibex population in the Park. In 2014 moreover, in cooperation with the Swiss National Park, the project INTERREG Italy-Switzerland GREAT (Big Herbivores in the Changing alpine Environments) has been concluded.